From Brian Williams to Vincent Van Gogh to Hellen Keller to you and me – The brain is sooooo cool! 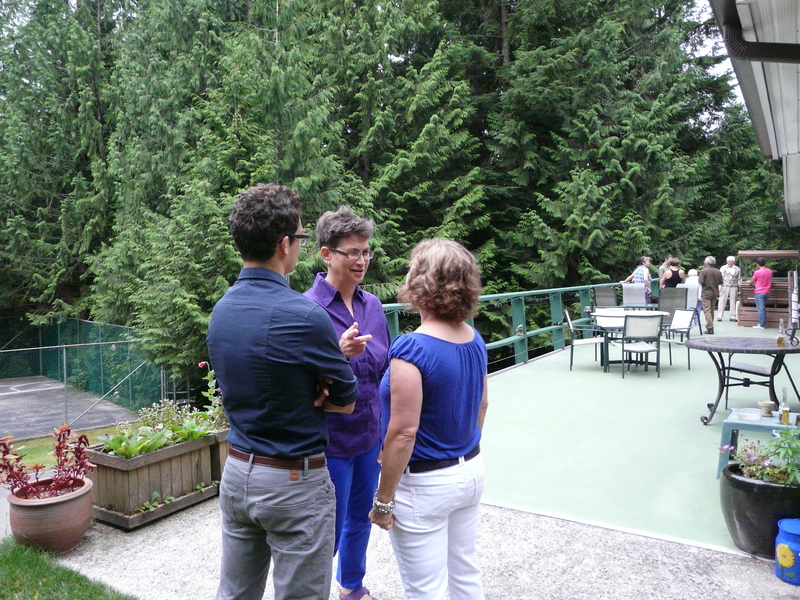 The author talking with in-laws on family vacation in Sunshine Coast, BC. Retelling stories is an experience in its own right. Who took this photo? Who knows? Here are my two cents on Brian Williams and the malleability of memory. Let’s start by fully acknowledging the limitations of perception. Perception of the world outside is very different from the record produced by a camera or audio record. Perception of our innards is even farther from accurate: is that a knife in my stomach or gas? So the information coming in to the brain, information from which memories are formed, is no great shakes to begin with. Moving on from the dicey veracity of perception, let’s think about remembering. Stories are remembered and retold and remembered and retold. The more impactful the experience, the more iterations of remembering and retelling occur. Now consider the question: In what way is the retelling not an experience? Well in no way. To drag myself out of my preferred negative construction, the retelling is a legitimate experience in and of itself. Therefore we experience the retelling and henceforth may remember that retelling. Our brain is the physical reality for memory and for retelling. When we remember, we remember a g’mish (conflation) of the original episode and the retelling. Then we tell the story again, and now what we remember is a g’mish of the original episode, the first retelling, and the second retelling. People retell stories of highly emotional events over and over, flavoring the events with the incidental contexts and emotions associated each remembering. The flavors add up which means that embellishments and errors add up. As a consequence, we can expect remembering to be even less accurate to the external facts than is perception. What does this all boil down to? The fact that Brian Williams remembered the very scary events of 2002 incorrectly do not surprise me in the slightest. Heck, I often adopt my spouse’s experiences as my own, even experiences that I have an iron-clad “alibi” for since I was not in the physical vicinity of the actual episode. What does surprise me is that Mr Williams did not fact-check his own memory. I was writing to a colleague about my MOOC teaching experience. I drafted, “I received 100s of emails from MOOC students.” Then I thought about it and realized that was unlikely to be accurate. I went to my MOOC mail folder and realized that at that point the total was around 30-50. It felt to me as though I had received hundreds of emails but the reality was quite different. In my example, no harm would have been done if I had kept my exaggerated total in place (which I did not). But I am not a journalist and I was writing an informal email to a colleague. If I can check my own facts, I think journalists can too. Interestingly, the importance of fictional license is also highlighted in Mr Handy’s review: “The absence of novelistic license here makes you realize why “surgically enhanced” nonfiction is rewarded on the best-seller list….writers with a bent more literary than literal do have a knack for creating lively characters and vibrant scenes.” I wholeheartedly agree with Mr Handy. Some embellishment, some morphing of reality through the personal lens of experience and opinion jazzes up a story. Or a picture. The water color on the right below shows more of the tucked in coziness of a small hotel room shown in Paris than does the photograph at the left. A photograph of a Paris hotel room. A water color painting, by Gisèle Perreault, of the room in the photograph to the left. Below is another example of the importance of picking and choosing, embellishing and rejecting among the components of reality to achieve an artistic gestalt. This example compares a recreation of Vincent Van Gogh’s bedroom in Arles (left) with one of Van Gogh’s own painted versions (right). This is a photograph of a reconstruction of Van Gogh’s bedroom that is located in Arles, France. Photo credit: Novel Travelist. Bedroom in Arles (first version) by Vincent Van Gogh, 1888. Owned by Vincent Van Gogh Museum in Amsterdam, Netherlands. Photo Credit: Wikipedia. 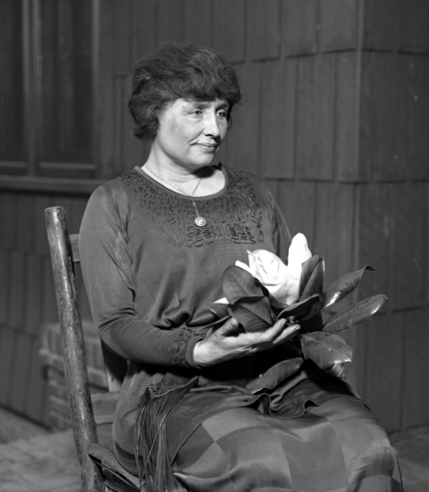 This is a picture of the blind and deaf American scholar, Helen Keller. The photograph was taken around 1920 when Miss Keller would have been about 40 years old. Finally, let’s talk about Helen Keller. As you may or may not know, she wrote a story entitled The Frost King when she was only 11 years old. The story was well received and published. However, Miss Keller was then accused of plagiarizing a previously published, similar story entitled The Frost Fairies. There were similarities between the stories and indeed Miss Keller’s Teacher, Anne Sullivan, had read the book to her. This experience had a devastating effect on Helen Keller. She lost one important friend over the flap and she never wrote fiction again. She details her experience of this time in her autobiography, The Story of My Life, which is available through the Project Gutenberg and is very worthwhile reading. “As if there was much of anything in any human utterance, oral or written, except plagiarism! The kernel, the soul–let us go farther and say the substance, the bulk, the actual and valuable material of all human utterances in plagiarism. For substantially all ideas are second hand, consciously or unconsciously drawn from a million outside sources and daily use by the garnerer with a pride and satisfaction born of the superstition that he originated them; whereas there is not a rag of originality about them any where except the little discoloration they get from his mental and moral calibre and his temperament, which is revealed in characteristics of phrasing. When a great orator makes a great speech you are listening to ten thousand men–but we call it his speech, and really some exceedingly small portion of it is his…. I will join Mark Twain in confessing. Look above! After reading Mr Handy’s book review, I wrote “the importance of fictional license”. Then when I copied the ensuing quote over, I realized that I had adopted “license” from Mr Handy. Word plagiarism. This happens sufficiently often that now when I take notes, I write exact quotes. I find that if I put the notes into my own words, I am later apt to come up with the source’s words, which appear in my head as though they are my own thoughts. However, if I put down the original quote, at least I know what I need to deviate from or else place in quotes. Everything in this post has been said before. Good Morning Dr. Mason Following the Brian Williams story release, your lectures regarding memory immediately came to my mind. ( I was a student in your Neurobiology of Everyday Life MOOC). The strong public reaction toward what I consider a common error did not surprise me; unfortunately it’s the common response nowadays. I was wondering if you were going to discuss this in your blog; I’m glad you did. I’m sure I am not the only past student of yours that will use the knowledge you imparted to more accurately assess the situation. Thanks for stopping by and also for your comment. It is so important to me to get feedback from students and that is harder to do in the ethereal context of the MOOC. I’m glad that you made the connection. 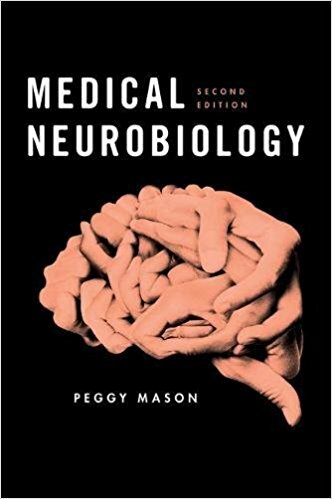 And I agree that the errors are not surprising from a neurobiological perspective. They are somewhat surprising from a professional journalism perspective. I discussed this with a friend who suggested that celebrity is the key here. Brian Williams had morphed into celebrity as well as (as much as???) journalist. I don’t quite understand the neurobiology of it but I think the idea is that celebrity gives people a feeling of untouchability, invincibility. So when he eased into the first memory that came into his head, he acted as a celebrity from whom every utterance has value because of who it comes from rather than as a journalist as was the case with David Carr. In essence, understanding how naturally neurobiological something (such as memory shifting) is does not necessarily make it an okay thing in society. Hi Peggy – I too was a student from your 1st MOOC, and had a similar reaction. My first thought after hearing about the Brian Williams debacle, was to consider if this was a false memory – just as you taught us. I do think that ‘celebrity’ aside, journalists should be held to a certain standard since society relies on them for accurate news. I found it very interesting to read Michael Moore’s recent open letter about the issue, where he defends Williams and rants about the ‘real liars’. I remember you from the MOOC. Not sure how but I do – Forums, UtB-FB page? Hello I am also a former Mooc member who just joined your blog. I am sorry but should I know a Brian Williams? I am subscribing to your blog after finding out that there is no part 2 to your everyday class. 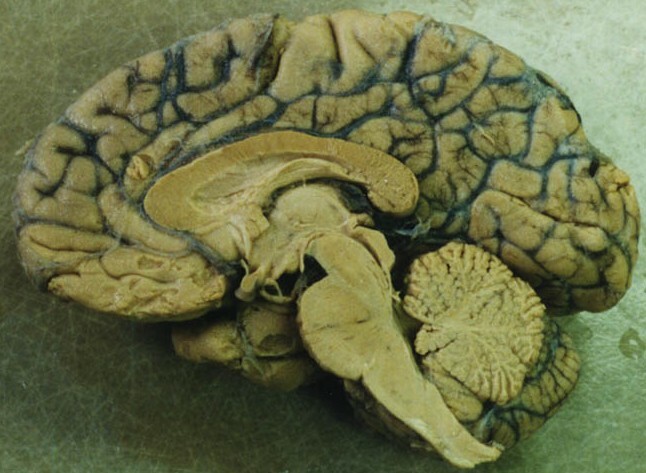 My memory is going fast, taking too many neurology classes. I was so sure you mentioned there was to be a Part 2. I have a question about bees. I read somewhere the die-off of bees is a social problem not a fungus or infection problem. Can you comment about this? No need to know who Brian Williams is but just in case you’re interested, he is or at least was an American news broadcaster. He has been caught in a kerfuffle (= “a to-do” or a scandal) around his faulty memory. Normally not a big deal for someone to share their faulty memory but it rises to big deal when that someone is speaking as a journalist, and on a big stage. 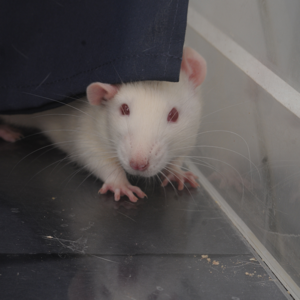 There are changes in this session including a new module on embodied emotion and a new week on the vestibular system and the control of gaze. So I encourage you to think about joining us again. All up in arms as folks have become over Brian Williams’ “lie” had me thinking about the Bible and the humorous remark that I once heard when Jesus asked that anyone one present who is without sin should cast the first stone and he looks around and waits…from behind Jesus a stone is cast, he turns around and says “Mother!”. I don’t know where I first heard or read that, but I was able to relate. Thanks for your insights. I enjoy your how you write! I’ve been trying to plagarize you in a comic memoir about memory. Enraged when he discovered the word Zorro carved into the coffee table, my father somewhat randomly punished one of my three brothers. This became a family saga, often repeated as an open mystery. Who really did it? To avoid taking sides, although the truth seems pretty clear to me after interviewing everyone involved, I softened my usual approach as an investigative cartoonist, adding fictional elements. There’s a stigma to false memory, even though we all produce them. Your explanation here explains the process and maybe reduces the stigma, at least for non journalist. Maybe you can appear in my comic and smooth things over for everyone in the end. Professor Mason, I was also in the last mooc you taught. I am aware of the faulty memory issue, but I am also aware, from experience, that a manufactured lie, repeated many times, can be perceived as the truth by the liar who created it. I an not talking about embellishment, but about completely new creation. I also wonder whether this relates to implanting false memories in potential witnesses by interrogation or facilitation. Yes absolutely. I agree 100% that the feeling of the memory is not different for the remember-er. The person with an incorrect memory truly believes that the memory is accurate. Because of this I cringe at calling that person a liar. Is telling a non-truth that you think is the truth the same as telling a lie? I don’t think so but it is an interesting debate to explore: what is a lie? what is the truth? Maybe we’ll look at that issue in our upcoming UtB session (starts 2/23). I know a therapist in town, many of her patients have the same rather weird experiences. The power of suggestion is dangerous. I’m tempted to to add my 2 cents worth and to continue the languages theme over from the previous post if I may. This is my (regular) experience too. I frequently search for quotes in my notes, or in the books I read, etc. When I search I usually remember a lot of collateral details. Like where on the page it sat, or how it was phrased, what was the picture nearby, etc. Typically the memory is quite vivid and of course I’m 100% sure that it is correct. But what puzzles me is that when I find the quote, it’s often NOT in the place I remember, but what’s the most puzzling is that sometimes I find it that I remember it in a different language. Somehow the thing I read in English would morph into Russian or the other way around. It is strikingly puzzling every time, as I usually remember a particularly good wording or a word pun – but in the wrong language! I don’t really know what’s going on, but I think that if a particular piece is better said in one language, that’d be the language I will “remember” it in. Even if I am not conscious of “re-telling” the story to me, apparently it happens. So I’m quite aware of my brain’s capability of inventing memories. Crazy. So I watched your lecture 10.2.1 on memory types again. And when you were talking about perceptual memory, this time, today, I had no (declarative) memory about this piece from the last time. I basically watched that piece as if it was new information. What a great letter filled with interesting points! Thank you so much for writing. I too have vivid memories of where a particular quote exists in a book (I read physical books. I tried it but I just don’t like reading on a screen in part because it is hard for me to visualize a section of text that I may want to return to.). Vivid memories are dashed when I realize later that my memory was incorrect. But your morphing between languages is absolutely fascinating. My language facilities are not. So this would never happen for me. I also only read books in English (although I am from time to time these days struggling through a young adult book in French). I am guessing that you read books in multiple languages and so you are not always sure where your memory originated from. In any case, I like your idea of your re-telling yourself the quote in the language that fits the quote the best. Classic implicit memory. Classic. Interesting eh? Look for the dalmatian version of this if you want to do the experiment on yourself again. Sorry for the weird nick, I decided to register on WordPress only recently, and forgot to update the profile. I’m Victor Malakhov, and we interacted several times here and on your wonderful MOOC. It is too bad that the dalmatian is so overdone. I tried to get my mom, who is a good artist, to make an image that would be hard to get but then impossible to forget. But I couldn’t come up with how to do it. Still can’t. Any ideas? I remember that we talked about the vestibular system and just looked up your great question re the dog’s vision during shaking off water. Now we get to talk about the vestibular system. Yahoo!!! Will you be joining UtB for the 2/23 session? Last year I only joined very late, and even though I squized a passing grade (just barely), and I am looking forward to new discussions on the forum and new section on the vestibular sense. See you in class. Shout and scream if I don’t see a question of yours at first.